Add a touch of elegance and just the right amount of support with the Accent Ring. 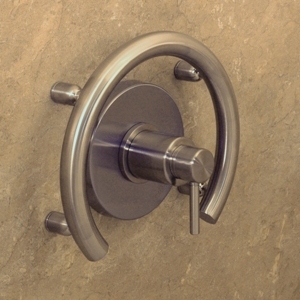 A unique and incredibly solid handrail designed to contour circular shower fixtures and provide support when accessing controls. Professional grade construction combined with superior quality fittings ensure years of reliable service and rock-solid support with a 350lbs weight capacity. Select additional items in the Invisia Collection to create a perfect blend of elegance, function and safety. 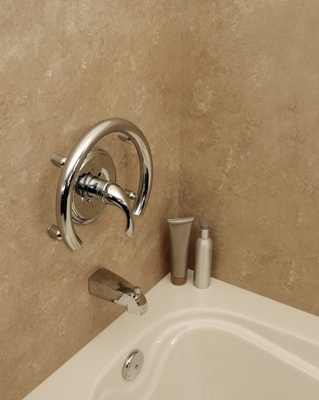 Choose from either chrome or brushed stainless steel.